Estonia is a small but surprisingly beautiful and hospitable country. The capital of Estonia – Tallinn is amysterious town, attracting travelers from all over the world with it’s unique atmosphere of Middle Ages. It seems to be frozen in time between 14th and 15th centuries. One cannot just leave the city, you’d want to take a part of it with you. A visit to Tallinn will enrich you with pleasant impressions. And, undoubtedly you’ll want to keep the memory of this place for a long time. So, the best way to do that is to shoot the most beautiful sites with photo camera. But, if you want to enjoy the guide’s stories, picturesque views, and not to spread your attention – we offer the services of a professional photographer. An experienced photographer will make unbelievable photos for you, which will be unlike all other pictures. The superior quality, colors, and composition of these photos will be great for printing or slide shows. The duration of the photo session is 1.5 hours. During this time the photographer will accompany your group in the most picturesque places without interrupting the guide’s stories and will make fantastic shots of you and for you or your group. In 2 days our expert photographer will select the best shots, digitally process them, and forward to you on CD or to your e-mail. 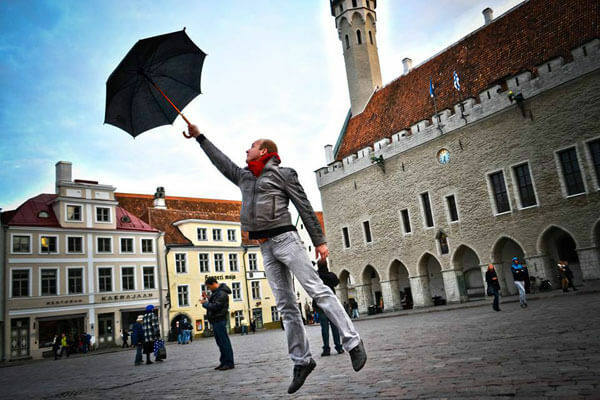 After the 1.5 hour photo session in Tallinn you will get a minimum of 50 excellent photos.